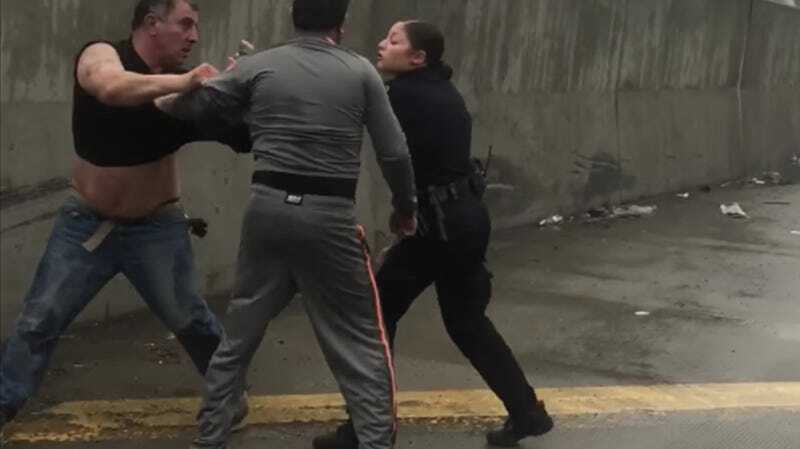 There is nothing sadder on the road than a road rage fight, except when it’s a road rage fight between two slightly older guys pulled over on the side of a gray and drizzly New York City highway. That’s what makes it so excellent when two cops run up and end it with nothing but pure, competent justice. Those two guys go from punchy to embarrassed in an instant. The two cops happened to be a few hundred feet away dealing with another incident when these two brawlers started the fisticuffs, so they ran over pretty quickly.